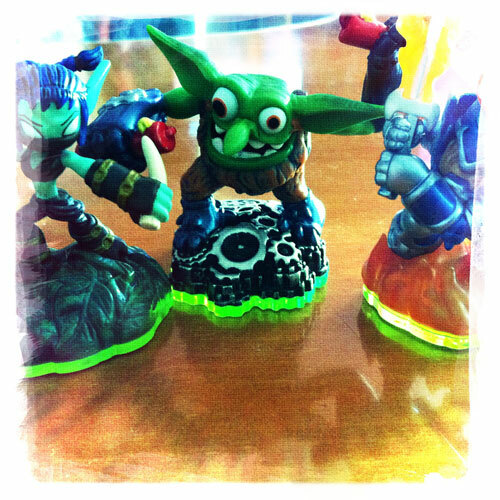 You are here: Home / Reviews & Giveaways / Skylander’s: Spyro’s adventure. And mine. 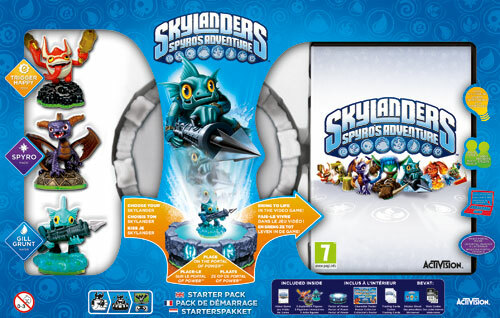 Skylander’s: Spyro’s adventure. And mine. 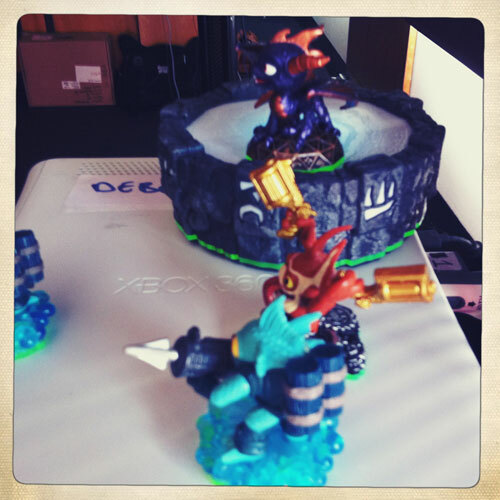 I was given a great opportunity last Thursday to travel to Melbourne to get a sneak preview of a new Spyro game called Skylanders. I didn’t tell JJ this because I knew he’d be jealous and relentlessly hassle me to come with. So it was I who arose at 5.15am to catch the 6.55am flight to Melbourne. There were also some other blogger mums there with kids who suit the Spyro target market. When JJ got his playstation whatever Spyro game was around then was what we got. He and I played it a lot together so I’ve always enjoyed the purple Spyro and was looking forward to seeing the new game. This is a game that will suit the Wii, Xbox360, PC, Playstation 3 and Nintendo 3DS, so unfortunately it will not work on our Playstation 2! It’s different from any other video type game I’ve seen in that it has a ‘portal’ that you place characters on so that they become part of the game. You can play a game with just one character, or you can swap them around with other characters. Of course different characters have different strengths so they open up certain parts of the game. Once a character is taken off the game, that’s it, play for that character stops. The characters are also interchangeable on different platforms, ie, I can start using my character with the XBOX version, and then take it around to my mate’s place who has a Wii and keep playing. The characters retain all their points, level abilities and so on so they’re transported around with you. Removing the characters from the portal is also a great way of immediately getting your kids to stop playing the game. I think it’s the catchcry of all parents whose kids have these games to ask them to stop playing and hearing the whine of ‘just a minute I need to save’. A minute then becomes 20 and you get crosser and your kid gets crosser with you because you keep hassling them. Come on, I’m sure it’s not just me. Below are a couple of photos of the portal and the characters. The portal just plugs into the gaming console. As I mentioned above we all had a go at playing the game. Lucy is the one playing, Bern is taking the photo below. Lucy is a fellow Adelaide blogger who I’d never come across on Twitter or via her blog until now and it was great to meet her. 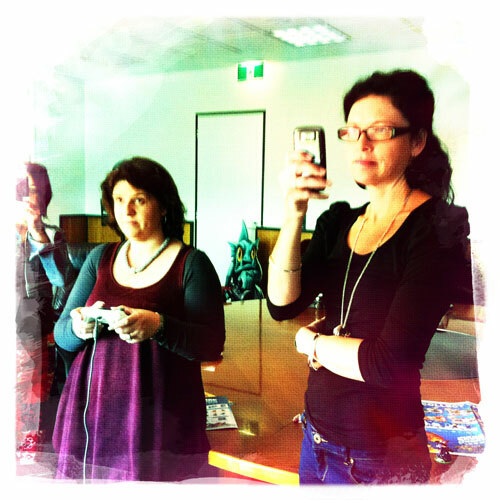 Aside from seeing this demo I really enjoyed meeting the other bloggers: Naomi and Amanda. It was also great to get home, see my son and tell what I’d been doing. I think I managed to explain the concept really well as he’s looking forward to getting his hands on it when it’s released in mid-October. Apparently it will retail for around $100. 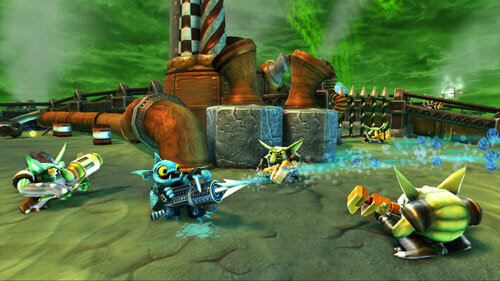 This includes the game and three characters – Spyro, Gil Grunt and Trigger Happy. The other characters will retail for around $15 each but you can get them in packs of three for around $30. My son now thinks I’m famous because I’ve got this website and get opportunities like this. I did try to explain that having this website doesn’t make me famous in the least. But one last thing about the game. The characters look pretty durable but I wonder how easily they will get lost. I know from bitter experience that the DSi keeps being misplaced. Here’s more information about the Skylanders Spyro’s Adventure. Sorry Ethan, I have no idea. We just play it using the console – there’s no XBOX Live involved. We only just got it too, so I don’t even really know how to work it – the XBOX Live bit that is. Good luck with it.